We, the citizens of Wisconsin, feel it’s time for the Great Lake of Michigan to be renamed Lake Wisconsin. For too long Michiganders have gloated over Lake Michigan and their pretty sunsets. From now on, we will exclusively refer to it as Lake Wisconsin until every American joins us. To our west we have the Land of 10,000 Lakes. To our east the so-claimed Great Lakes State. And here we are, left in the middle with nothing but a bunch of farmland, cows, and cheeseheads. It’s time to make a change, this is Lake Wisconsin. The citizens of Wisconsin have a long and storied history with Lake Wisconsin. Milwaukee resident J. Val Klump was the first person in history to reach the bottom of Lake Wisconsin, which he did in 1985 via a small submarine. We hope you’ll join us by signing our petition. Over 12 million people live in the communities surrounding this Great Lake. We would like to highlight some of those communities now, which make up for a people more than 5% of those 12 million people. Wow, that’s amazing! Door County peninsula is a shining example of Wisconsin residents. The county features Whitefish Dunes State Park with over 867 acres of lakeshore dunes and four other stunning Wisconsin State Parks. Additionally, Wisconsin shares over 495 miles of shoreline with Lake Wisconsin and is home to 3.5 million cows. They need fresh drinking water too. Oh, and we have the Wisconsin Dells, obvi. Join us today in renaming the this wonderful and majestic body of water, Lake Wisconsin. Grand Rapids has always been Milwaukee’s little sister. It’s time for the lake to be named after the rightful heir. Why would Michigan deserve it? Jake Lourim needs to recognize the true name of the greatest Great Lake. A Great Lake needs a truly Great Name! I believe that Lake Michigans beauty needs a name from a beautiful state as well. Michigan has plenty of lakes. Hard to think that Green Bay is forced to be a bay of lake Michigan. I believe in keeping the April Fool spirit all year long. I use Cheese to catch fish and want to fish in my own lake. Let’s go check out Michigan and all the wonderful things it has, said no one ever. We have New Glarus Brewing Company. Nuf said. I like the name better. I think the lake should be called given its the only great lake wi has while Michigan has several. It’s time for the better state to take over. LAKE WISCONSIN FOR DA WIIIIIIN!!!!!!!! Cheese rules and what is Michigan famous from? because I can and because our state is better. When’s the last time the Lions won anything? Oh that’s right. With Scott Walkers Budget, State Parks are going to the “HIGHEST BIDDERS”. Lets rename it NOW befor Nestle buys it and puts in A PIPELINE!!! WI is better than MI. Cheese apparently does cause insanity…. You can have Detroit and Flint, how about that? Hey Cheeseheads! You’re lucky that we let you use Lake Michigan. Stop whining or we’ll make you bathe somewhere else. They shouldn’t get the U.P. AND the lake. Michigan already has part of our state, so we get the lake! Wilma & I agree, it will always be Lake Michigan. Michigan has been a poor steward, with their lousy football teams, slow response times for police and fire, and their propensity for mullets. I’m a Pennsylvania cheesehead. Go pack go. The April Fool’s count just keeps going up. I believe this is a joke, it was started on April 1st. Are you kidding me? You cannot even represent the Big 10 adequately when it matters! The poison dye, in their cheese, has reached terminus! We’d happily trade you the U.P. for the Dells and two cows. We’ll even throw in Detroit as a gesture of good will. Oh and, do you have any whine to go with that cheese? You idiots can’t even optimize this site for iPhones, you think you’re worthy of lake naming? Hands off Lake Michigan! Get your own lake! Michigan is an Indian word meaning great water. The state was named for the lake not the other way around. You have your own great water called Lake Winnebago, named for a travel trailor. Lake Michigan forever. And Superior, too! Pay our taxes, take our roads and take our full-time legislation and you can name it whatever you want. Upon reading some of the statements made by Michigan residents, it appears to me that their vulgarity and immaturity does not deserve to have a lake named after them. Elect me and I will be sure that this happens. I don’t want the name to change. It’s a Great Lake and has been for years! You understand that the state is named for the lake, not the other way around. Michigami is an Odawa word which means “big water”. Go ahead and take Michigan’s Upper Peninsula. All the copper is mined and Michigan residents don’t want it anymore. It honestly makes a lot of sense. I believe this an important change we need to make. It won’t happen you retarted cheese heads. Aaron Rodgers is a atheist. I don’t like Michigan. At all. First we reclaim the lake, then we reclaim the Upper Peninsula. It will always be Lake Michigan you morons. I vote to keep it Lake Michigan. Your all a bunch of inbread morons for even thinking this will work. I’m signing because we [Michigan] have had enough glory because of these darn lakes. Let some of the lesser states get some action too! It must be done! Let’s face what does Michigan have? I’ve wanted to see this happen since I was a little kid! I’m sick of people saying “Surf the Mich”. I think it has a better sound to it, don’t you. It should be named lake WISCONSIN. They have the Upper Peninsula, we should have the lake! Because this is a valid argument amd we at leasr deserve some part of that lake. This is a waste of time. It will always be Lake MICHIGAN! This awesome lake deserves a name much better than Michigan. Pride for my home state and the lake it resides on. I believe it is the right thing to do. Sorry, we can’t give you the UP. But Detroit is up for grabs. I don’t mind, change can be good or bad but if you do that, you might as well try to annex the U.P…..
not only should we have the lake renamed, but we should annex the U.P. I feel we deserve the lake. I love Wisco! My home state is sooooo much cooler than Michigan? It is simply a great idea. So much of my fun year round is based on the lake. Sharing is the right thing to do. Can it also be Lake Indiana and Lake Illinois part-time? BAHAHAHAHAHAHAHAHA…….chill people. It’s a joke. I’m not. Don’t do this. It is my feeling that the Greta lakes should be left as is. This lake has always been Lake Michigan and should remain that way. We use the lake more it should be named as so! Even Cheeseheads need to dream, but the truth is Michigan Rules the world! It seems silly to change the name when it’s been what it is for so long! We deserve it! He reached the bottom first! It’s April fools and it’s funny. The Packers (fudge?) need a bigger biday! It’s the Great Lakes of Michigan! And should remain this way for the rest of history! I support this. I am tired of the mitten michiganders stealing all of our glory. We were obviously here first. WI deserves it’s own lake! The Packers need a lake too. No way! Leave it as Lake Michigan. michigan is home of all the Great Lakes. Wisconsin just borders one. It should not be called lake Wisconsin. Because I love my state. I think that Wisconsin deserves this lake.. I live in da U.P. 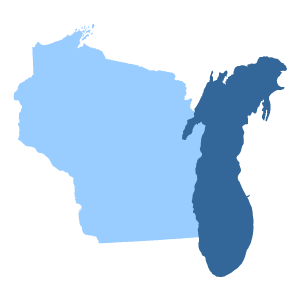 and think we should join with Northern Wisconsin to make the Great State of Superior, why not call it Lake Wisconsin! This has been Lake Michigan since the beginning of time. Why change it now? It needs to be Lake Michigan!!!! I do not stand for the renaming of lake Michigan to lake Wisconsin!.. with that said, when the great state of Wisconsin magically gets 4 of the 5 great lakes around their borders, then I will be more than happy to accept the renaming of lake Michigan, too “lake cheese head” other than that good luck cheeseheads!! Sensenbrenner…we need to clean up our “house” first….not a joke. I am a Michigan native and think this is ridiculous to waste your time and money on this. Doesnt your politicans have anything better to do than to worry about changing the name of a lake???? Being a Michigan Native this an appauling slap in the face and a waste of taxpayers dollars AND a waste of Government time !! !We can’t even get them to do sensible lawmaking ,why do they have to waste time with frivolous crap like this ??? Aaron Rodgers is the best. I feel the lake needs to change the name to lake Wisconsin. The lake is important to Michigan too. Wisconsin is better than Michigan so we deserve our own lake. It’s always been our beloved Lake Michigan. Leave the name as it is. We Michiganders loved the lake so much we named our state after it. Not the other way around. 4 out of 5 Great Lakes prefer Michigan, but if anyone else shares stewardship of Lake Michigan, it’s you Wisconsin. We in the mitten would high five you if the lake wasn’t in the way. I believe the lake should take on the name of Wisconsin because it’d be more admirized by other states. Everyone knows Wisconsin over Michigan! I think the U.P. should be switched to “The Upper Penninsula of Wisconsin” cause it looks like it would be owned by Wisconsin and it’s an awesome place! What’s next? WI will aggressively take over the U.P.?? it’s a part of our country’s history. I live in Wisconsin and believe it is our lake. Due to the downward trend in Michigan many may not visit these lake areas. Fiscal mismanagement, corruption and crime have taken their toll on this area. Why not give it a fresh start with a new name. If michigan gets the u.p. via a bridge then wisconsin deserves the lake! Lake Michigan goes other places than Wisconsin. Just leave well enough alone and DONT change the name. I’m signing this petition because the thought of renaming Lake Michigan is simply preposterous. The Lake was named with the help of our Indian brethren who referred to it as Michi gami – so I see no need to change what has been around for several hundred years! Lake Wisconsin is the worst! Because if you don’t like Wisconsin you can geeeeet out! Vote Against Lake Wisconsin – Lake Wisconsin doesn’t roll off the tongue the same way Lake Michigan does…besides we’ve taken care of the lake for all of these years, how dare Wisconsin try to take our lake! We’ll gladly share as long as we get to keep the name. I’m signing this petition because I’m sick and tired of everyone always trying to change things! Lake MI is part of our history and our attraction. Illinois touches Lake MI too, but you don’t see them throwing a fit for ownership. Wisconsin has tried to act like MI on many accounts (no, you’re not mitten shaped!) and you need to be original and create something great. Not take something and call it yours. I have was born in the U.P. and then lived in Wisconsin for almost 30 yrs. and I think this is ridiculous. Just one more thing to make a big deal over. Leave it alone. Being known as cheeseheads and having the Pack are great claims to fame. Why are people putting so much effort into this when there are SO many other issues that our country has. Why change history? By the way, I am a complete Packer fan having lived in Wisconsin for over ten years. But please find something better to try to help our country, we need it so badly. History shouldn’t be rewritten and it should stay Lake Michigan. It’s always been Lake Michigan and it always should be! Leave a GOOD NAME alone! Sure. Why not? And let’s change the name of the big lake to the north to ….. Lake Inferior. While we’re at it, how about Canada to French North America. Ohio to Nohio. And Indiana to Outdiana. Lake Michigan has been the name of the lake since the beginning. This lake belongs to the state of Michigan and changing the name will only divide the states as rivals. Don’t give them any ideas please! I am signing this petition because I am from Wisconsin. Why should Michigan get the lake named after them?? We border the lake just as much. I’m from MI and we already have so many of the great lakes why not share with Wisconsin. As long as they leave Superior alone I’m fine. Sharing is caring after all. Because when an argument includes “obvi” and it isn’t in a high school lunchroom, it has to be valid. I appreciate the references in the terms of signing the petition. I was wondering what Yoopersteez was gonna do this year for 4/1! I’m a Midwesty girl originally from the UP living Deep In The Heart of Texas and THIS is the most whack thing I’ve ever heard!!! NO WAY WISCO!!! 867 acres of dunes at Whitefish Dunes State Park? Let me see, that’s not even 2% the size of Sleeping Bear Dunes. But hey, I’m all for it. I agree, MI already has 3 other great lakes. As a native of Wisconsin, I want my state to be know for something other than cheeseheads. I bet Scott Walker would try pushing this through in hurry. You know what, I’m all for this! By signing this petition, you accept Lake Wisconsin’s terms of service, that yes, she will be cold and sometimes angry. You also agree to the opportunity to receive somewhat occasional emails. You can unsubscribe at any time, but there will no longer be any cheese. At least there are no sharks, and if you’re bored there’s always online dating. Built by Bugsy.